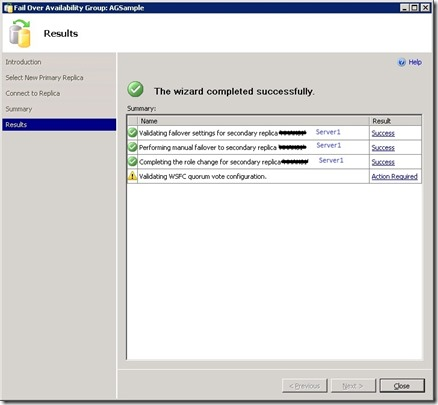 Availability As we have seen SQL Server High Availability configuration and listener since same, I would like to go ahead for manual failover test in SQL Server 2012. So I would suggest to go through related previous posts. 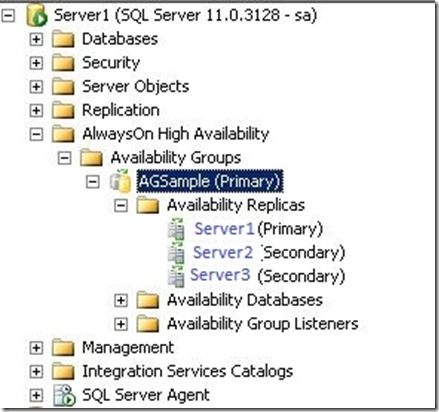 Moving to test manual failover of SQL Server High Availability and following are the steps. Here Server 2 is a primary replica and Server1 is a secondary replica. Now we have to switch over the primary role from Server2 to Server1. 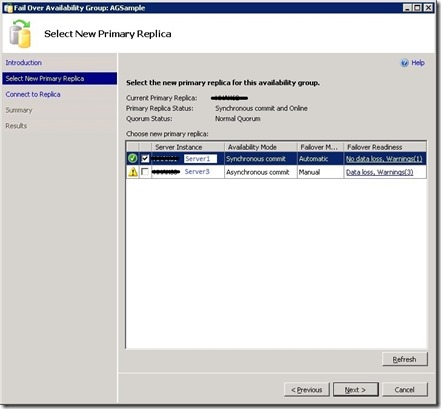 Step 1 : Connect primary replica availability group. Go to Availability Group and right clink on that and click on Failover. 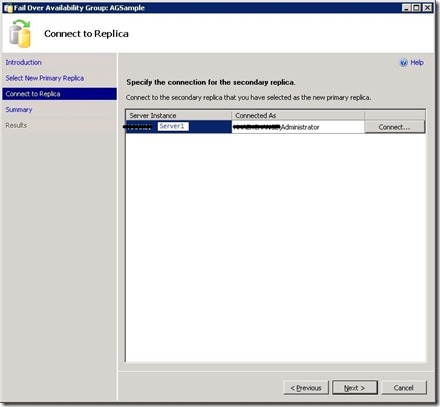 Step 2 :Select instance, which you want to make a primary replica as shown in the image. 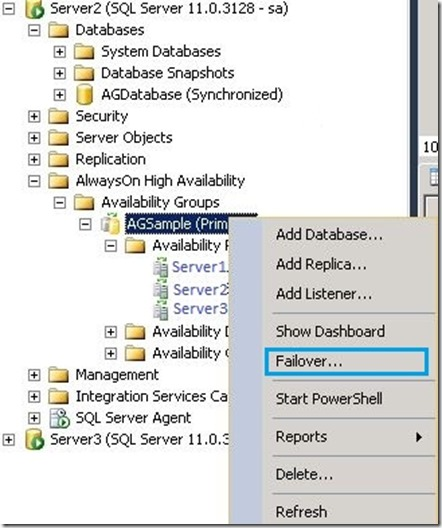 Step 3 : Connect SQL server instance, which you selected in earlier steps. Step 4 : Click on Next and You can see the current primary replica and new primary replica. Step 5 : Finally success on next step. Step 6 : Last step to confirm primary replica, so connect with listener name and confirm as shown in the image. This is just a manual failover test of Availability Group and hope you enjoyed it. In the next post we will see automated failover of Availability Group.